A Montessori child herself, Laura remembers what a joy it was for her to attend Montessori School. After receiving a B.A. in Religion from the University of Virginia, she and her husband Mark incorporated Montessori principles in the home education of their nine children. Since being introduced to the Catechesis of the Good Shepherd program in 2000, Laura has received CGS certification in Levels I, II, III and Infant-Toddler, and is additionally recognized as a CGS National Formation Leader. Laura is coordinator with St. John’s parish for John XXIII’s Sacramental preparation, volunteers with the parish’s Religious Education program, and is a founding Board member of John XXIII. A proud Nana, she is delighted that seven of her grandchildren attend at the Center. Laura & Mark operate Briarmead Farm, a “beyond organic” grass-fed farm producing beef, lamb and dairy; a Slow Food DC “Snail of Approval Award” recipient. Eileen Janaro graduated with a Masters in English from the University of Dallas. She has been teaching for 24 years, inspired by Montessori principles for the last 21 years, and has been the Center’s Montessori Elementary Directress since 2009. Eileen completed her AMI Elementary certification as well as a Master’s degree in Montessori Elementary Education at The Washington Montessori Institute at Loyola University of Maryland. Eileen and her husband, John, have been blessed with five children. Colleen Hencken graduated with a BA in History from Christendom College in 1999. She has been teaching for 12 years. Colleen completed her AMI Elementary Certification and Master’s Degree in Montessori Elementary Education at the Washington Montessori Institute at Loyola University in Maryland. Since 2005, she has been certified in Level I and II Catechesis of the Good Shepherd. She was Siena Academy’s Elementary Directress for three years and then went on to work part time as an Elementary Assistant at Mountain Laurel Montessori School for two years. Colleen began at the Center as elementary assistant in Spring of 2014 and recently became the Lead Guide for our second Elementary classroom. She and her husband, Rob, are blessed with three children; Gabriel, Clare, and Roisin. Michelle Castellan has a B.A. in Theology from Christendom College and a M.T.S. from John Paul II Institute for Studies in Marriage and the Family. Michelle is certified in Levels I and II of the Catechesis of the Good Shepherd. She has been a catechist with John XXIII Montessori Children’s Center since 2005, serving as the Three Morning Program Level I Lead Catechist and as a Lead Catechist in a Level II Atrium. Recently completing her Early Childhood Diploma, Michelle is the Primary Guide in our Three Morning Program. Michelle and her husband, Bill, have five children, all of whom have attended John XXIII. Corinne graduated with a BA in English from Franciscan University of Steubenville. 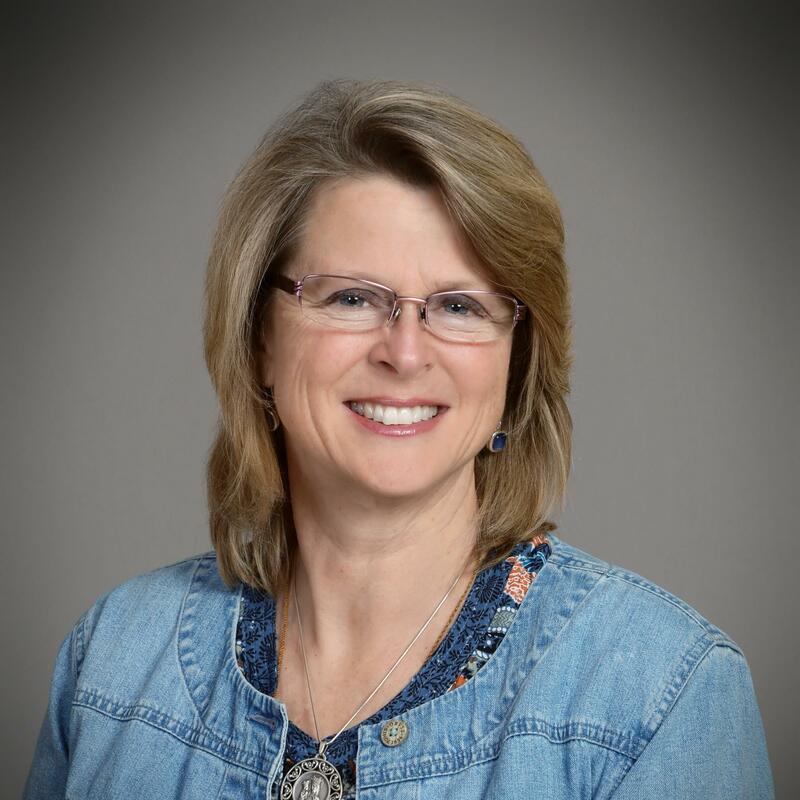 She received her AMI Primary certification from The Montessori Institute of North Texas in 2010, and her Level I and II CGS certification here at John XXIII. With 13+ years of experience working in the Atrium, the Primary Classroom, and the Toddler community, she was happy to rejoin the John XXIII staff in 2015. She has 2 daughters who attend the Center, one in the Primary classroom, and the other in the Step-Up Toddler community. She has recently completed the CGS toddler formation and is continuously in awe of the religious capacity of the youngest child. Kristin graduated with a BA from Franciscan University of Steubenville in 2001 and was introduced to Montessori and the Catechism of the Good Shepherd in 2006, when she started her Level I training at John XXIII. She began to assist at the Center in 2008, and was the lead catechist in the Thursday afternoon Level I Atrium 2009-2014. Kristin has recently completed her Level II certification and is currently the Tuesday afternoon Level II Lead Catechist. Kristin and her husband are blessed with five children, all of whom attend the Center. Emilia Benyo resides in Rappahannock County and attended Marymount and Northern Virginia Community College. She earned her Master Catechist Certification from the Arlington Diocese in 2013. When her youngest son attended John XXIII, she was introduced to the Catechesis of the Good Shepherd and her love with the Good Shepherd began. In 2015 and 2016, she received her formation and certification in Level I and Level II, respectively. As the catechist for the traditional 2nd grade Sacramental preparation using the faith formation program at St. Peter Catholic Church, Washington, VA, she transitioned the program into the Catechesis of the Good Shepherd. This year she is the Catechist for Thursday and Friday Level II Atrium session. Her husband, Bob, is a Permanent Deacon in the Arlington Diocese and they have two boys. Susan graduated from Christendom College in 1990 with a BA in English. She began her CGS training and assisting at John XXIII in 2006. Certified in all three levels of Catechesis of the Good Shepherd, Susan says that CGS training is a beautiful personal retreat with the Good Shepherd and feels extremely blessed to be able to share this work with children in the beautiful Atrium environment. Susan and her husband Chip have 13 children and one grandchild and live in Bentonville, VA.
Elizabeth Powell graduated with a BA in Theology from Christendom College in 2008. With the arrival of her first baby in 2009, she began to learn more about Montessori and fell in love with the work of the Catechesis of the Good Shepherd. She began assisting in the Primary classroom in 2010 and completed the Level I Catechesis training in 2012. In 2018, she was happy to complete the Infant to Toddler training. This year she is the Level I Monday Catechist and Thursday Mommy and Me Guide. She and her husband Joe have three children, Zoey, Lucy, and David. Terri Barnikel has been a part of the John XXIII community since 2009. Receiving formation in Toddler, Level I and Level II of the Catechesis of the Good Shepherd, she is attracted to the beauty of the Atrium. Terri loves that the beautiful environment allows children to learn, grow, and explore – both who they are and who God is. She says, “God and his creation are beautiful!” She has four children who have all been educated in Montessori settings. Jessica graduated with a BA in Philosophy from Christendom College where she was introduced to the work of both Maria Montessori and Sophia Cavelletti. She completed her Level I Catechesis of the Good Shepherd training in 2012 and was Assistant in the Atrium for 2 years. Jessica is lead catechist in the Level I Atrium on Friday mornings. Jessica and her husband, Jacob have been blessed with four children: Rose Marie, Samuel, Benjamin and Grace. Joe Hambleton was born and raised in Northern Virginia. He worked in landscaping and lawn care for 14 years before discovering his love of Montessori. In 2015, he moved to Front Royal with his wife and daughter to help start White Oaks Middle School. He has completed the AMI Montessori Orientation Programme to Adolescent Studies (ages 12-18), and his work with the middle school students is greatly enriched by his experience in the business world. Sarah graduated with a B.A. in history from Christendom College and has taught humanities, language arts, SAT prep and math at the middle and high school level since 2007. She began educating herself in the Montessori method the following year upon the birth of her first child, and has incorporated Montessori both at home and in the classroom ever since. With two children on the Autism Spectrum, she intimately recognizes the value of Montessori’s individual and communal approach to learning. Sarah joined White Oaks Middle School in its maiden year and continues to teach history and language arts. She also volunteers as a 7th grade catechist at St. John the Baptist Catholic Church. Sarah’s children attend John XXIII Montessori Children’s Center. Jacob graduated from George Mason University with a B.S. in Criminal Justice. He currently works as a firefighter/medic for Arlington County. A lifelong sports enthusiast, Jacob played baseball and rugby in college and enjoys staying active and sharing his experiences and knowledge through coaching. Over the past 10 years, he has coached/instructed at various levels from Little League to college level at Christendom. Jacob and his wife, Suzanne, reside in Orlean, VA raising their four children, two of whom attend John XXIII. They first encountered the Catechesis of the Good Shepherd when their oldest attended preschool at St. Rita Church in Alexandria, VA. They fell in love with the Montessori method, especially the Atrium and are happy to be a part of the John XXIII community. Jacob assists with higher level math for the upper Elementary; special construction and life skills projects, and sports at recess. We guide and nurture the children to grow in fulfillment of the seed planted deep within them by God. Adhering to the philosophy and methods of Dr. Maria Montessori, to the standards of Association Montessori Internationale (AMI) and the Catechesis of the Good Shepherd (CGS), we honor the uniqueness of God’s plan for each child and work to cultivate their spiritual, emotional and intellectual gifts.